In this age of big data and hyper-targeted buyer funnels, alignment between creative and marketing has never been more important. At Adobe Summit, a four-day coffee-fueled whirlwind of marketing technologies, Adobe announced the new Adobe Experience Platform, an end-to-end cloud platform that unifies the Creative Cloud, Document Cloud, and Experience Clouds to accelerate the delivery of exceptional customer experiences. The Adobe Experience Platform promises to empower teams to create breakthrough experiences with new media forms, tear down departmental silos, and integrate intelligence and Adobe Sensei throughout. It also puts pressure on creative teams to deliver more content, in more mediums, for more channels than ever before. There has never been more of a focus on cross-channel campaign management and delivering the right experience to consumers at the right time. The Adobe Experience Platform now enables teams to slice and dice buyer segments, hyper-focus their funnels, and create a personalized buyer’s journey. Putting the customer experience first is more important than price or product. According to Kevin Lindsay, the Director of the Adobe Experience Manager Product Marketing Team, it takes an average of 12 days to create and deliver one piece of content to market. Marketing teams are being tasked to accelerate personalization but using current systems and processes can cause creative to be a bottleneck. In order for your team meet the demands of content creation, you must be able to easily receive requests and share assets within a connected ecosystem that encourages collaboration. How much time does your team spend on creating content? Can requests be optimized so that content is created by segment or by customer journey phase? How many versions are necessary before approval? Can your creative team work more closely with marketing to understand deadlines across the buyer journey and deliver content just-in-time? Can your team gain access to data on how specific assets performed across the journey? A refrain repeated throughout Summit was “your organization is only as good as your people, your process, and technology.” Optimizing your cross-departmental processes and adopting technology that bridges the divide will increase content velocity and ensure your marketing partners can deliver exceptional experiences. Don’t be surprised by the need to iterate – creative teams should always plan ahead for versions so that feedback does not get delivered unexpectedly and throw work off schedule. According to Dropbox’s Head of Brand Colin Whitehead, it helps to designate reviewer responsibilities, so your legal team doesn’t complain about the font type and you can get to an approved state more quickly. Most importantly, share early and often. You don’t want to open the oven too early, but creative teams should show their math – the work they did to get them to the final deliverable. Likewise, marketing should show the math that creates the business case and buyer’s journey, which helps ensure the Creative Team has the context they need to create compelling experiences. Standardizing reviews into a collaborative workflow tool that can handle the different types of assets your customers might experience throughout their buying journey (i.e. display ads, email marketing drip campaigns, landing pages, white papers) ensures your team remains in the process flow and allows your team to report on and optimize cycle time and output. What happens to the assets your team creates? The rapid creation of brand assets is fueling a content explosion that necessitates a true asset management strategy. Content creation isn’t as connected as it should be and as the number of channels and mediums expand, the complexity only continues to increase. Start by ensuring your DAM can store the metadata necessary for your team to easily locate and alter previously created assets. Adobe Asset Link, the latest panel from the Adobe Creative Cloud team, provides a seamless experience for creatives to search Adobe Stock and pull from assets already added to the Adobe Experience Manager. Going further, creative teams should partner with their marketing peers to optimize asset usage and ensure content is stored in a location where stakeholders can find what they need with clear parameters for usage. Your goal should be to make it easier for your stakeholders to discover content and know how to use it. Don’t let your DAM be a content graveyard — keep content relevant, accessible, and reusable with technology that assists with both upstream creative workflows and downstream delivery. In this age of big data and hyper-targeted buyer funnels, alignment between creative and marketing has never been more important. Ultimately the sessions encouraged creatives to work together with their marketing teams to re-imagine the entire customer journey, create exceptional customer experiences, and develop a digital asset strategy that bridges the gap from Adobe Creative Cloud to the rest of the new Experience Platform. 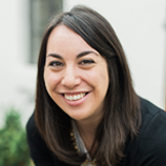 Brittany Pais is the Product Manager for inMotion’s online and mobile review environments. Armed with a background in digital marketing, her Project Management Professional certification, and a passion for building customer-focused products, she helps us deliver workflow management solutions for marketing and creative teams.